Cloud storage allows us to seamlessly store and share data all over the Internet. With its help, we can access all the necessary info from anywhere and at any time. The popularity of such cloud services is growing day by day. And we all know that with the growth of the demand the supply expands as well. But what do we know about cloud computing security? Can we trust these services with our personal information or even confidential one? What kind of cloud security tools do they use in order to avoid data leakage or information theft? Can we rely, for instance, on Dropbox security or Google Drive security in order to prevent someone stealing our records? So, if you do not trust the cloud service provider or want to have additional information protection in the cloud, then you should use data encryption. The main purpose of cloud storage encryption is to ensure digital data confidentiality that is stored in the cloud or passed through the Internet. Having all the reasons not to trust cloud services, it will never be useless to take additional security measures. So, what is the best encryption software? We present you our best cloud security software with the help of which you will breathe freely again. CloudMounter is a useful cloud protection manager that encrypts your information either in the clouds or on the remote servers. The app doesn’t require any efforts in setting up data encryption. The access to your encrypted files and folders can be obtained from your CloudMounter only. The software supports a wide range of popular cloud storages as well as web protocols, namely FTP and SFTP servers, WebDAV servers, Dropbox, Google Drive, Amazon S3, Microsoft OneDrive, OpenStack Swift, Box, and BackBlaze. 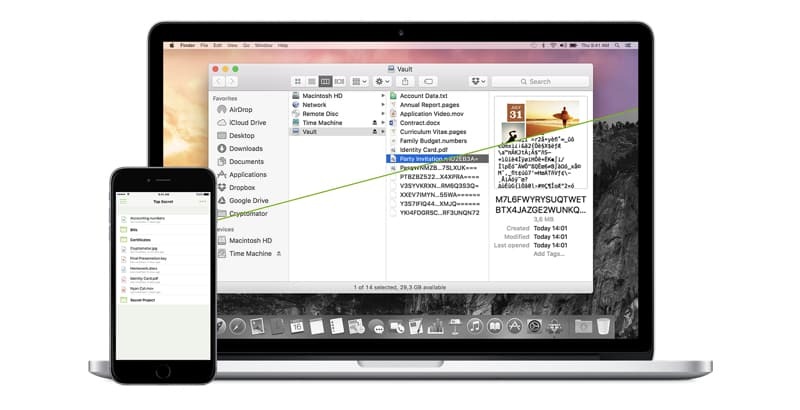 Having the ability to be integrated in Finder, CloudMounter makes it easy to work with your storages as they are your local drives. The app is available for macOS, Windows, Linux version of the software is going to be released in the nearest future. Boxcryptor offers you a wide range of supported cloud storages such as Google Drive, Microsoft OneDrive, SugarSync, as well as cloud providers that use the WebDAV standard, such as Yandex, Cubby, Strato HiDrive, ownCloud, etc. According to the developers’ statement, the app is being used by users in more than 190 countries of the world. Boxcryptor is a user-friendly app that even non-technical person will find easy to use. This cloud encryption software uses leading end-to-end encryption technology. With Boxcryptor you can encrypt your information, documents, video, mp3 files and other data before uploading to your favorite cloud. So in other words, the app can come to rescue if you need to store important personal or business information that should not fall into the wrong hands. 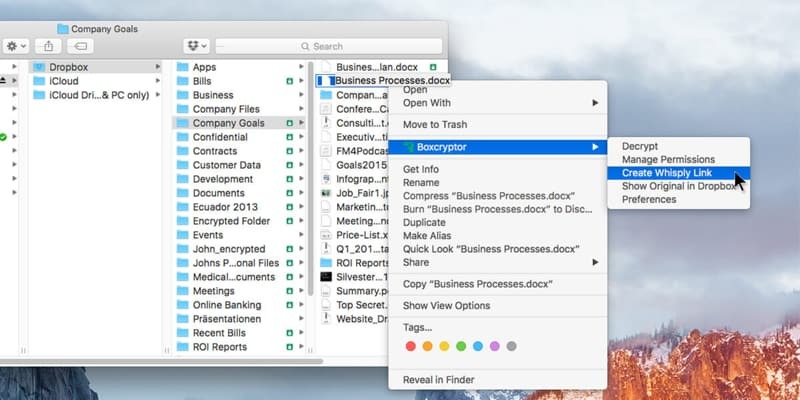 In addition, Boxcryptor is available for macOS, Windows, iOS, Android, Windows Phone, and other platforms. Another software that cares about cloud computing security is Sookasa. The software has 5 levels of cloud storage encryption, so your info will stay protected no matter where it goes. Sookasa works under the principle Detect, Protect, Enforce. Sookasa allows the users to share files and folders between each other with just a simple click of the right mouse button. Set a password, set up real-time access rights and set the expiration date of the encryption keys, and you can exchange data through secure links. The app is compatible with Windows, Mac, iOS, and Android operating systems. Cryptomator is an open source free cloud encryption software that offers free transparent client-side encryption for your cloud files. It is compatible with most cloud storage services, including Dropbox, Google Drive, OneDrive, ownCloud, Nextcloud, and any others that support synchronization with the local directory and can be used on major operating systems. 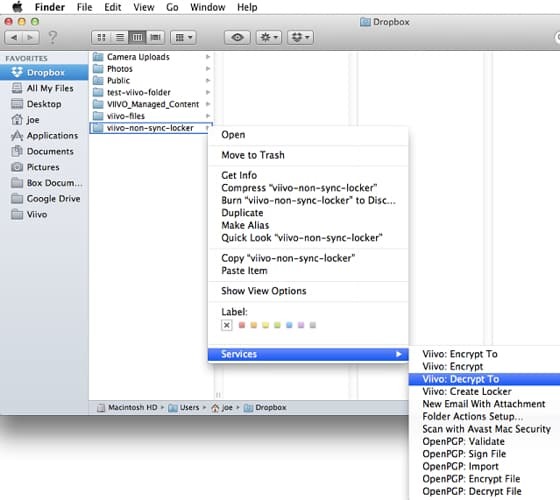 Compared to other encryption tools, Cryptomator encrypts each file individually. In other words, if you edit only a small text file, the changes will be made in the corresponding encrypted file only. The app doesn’t require any registration, simply create a vault and assign a password. Cryptomator creates a virtual disk with files allowing you to work with the files as if they were on a standard USB-drive. Create any number of virtual disks, each of which has its own password. The data is encrypted securely and protected from hacking by the AES-256 algorithm, using the output of the encryption key Scrypt. VeraCrypt is based on TrueCrypt 7.1a but includes enhancements for even better cloud data protection. Like Cryptomator it is a free cloud encryption software. It is a cross-platform software designed by IDRIX that can be a cup of tea to most of the users. 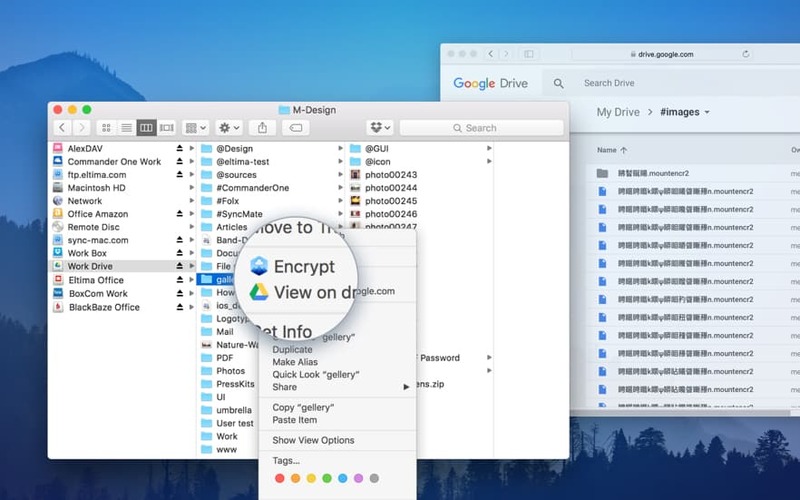 The app is designed to encrypt files, folders or entire disks. The app can boast about its reliability and unique algorithms that allow decoding only the owner. 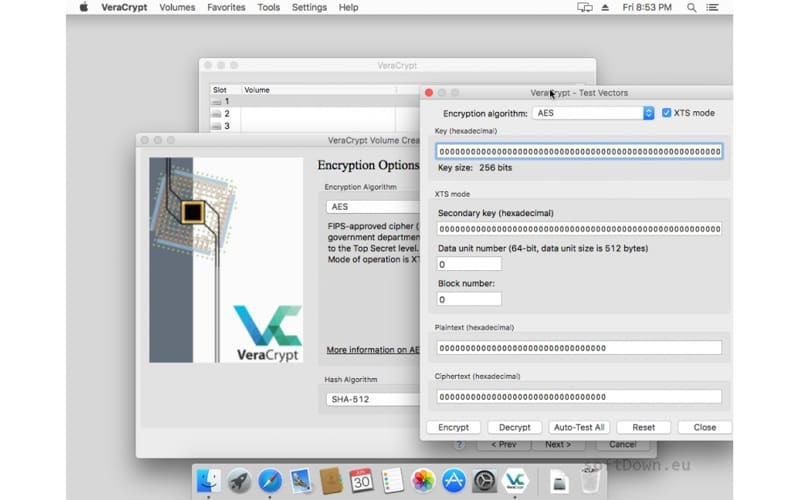 VeraCrypt supports a wide range of encryption algorithms, namely AES, Serpent, and Twofish. However, what is worth noting is the fact that if you forget the password or lose the file, then you will not be able to regain the access. Viivo is also one of the best file encryption software solutions that you could rely on when talking about Dropbox encryption, Google Drive encryption, etc. It is a set of web services and offline app that encrypts your files on the fly: you copy files to a specific folder, the application encrypts them and after that synchronizes them. Encryption is done by using the AES-256 algorithm. There are clients for Windows, MacOS, iOS, and Android, so you can synchronize encrypted files between any devices with different operating systems. However, unfortunately, the software has announced the end of their activity and declared the 1st of July 2018 as the End of Life for Viivo. Cloud computing security issues is a burning topic for many years. And it is all up to you whether to trust your data or not. Nevertheless, now when you have read about our best cloud security services, it is all up to you to choose your favorite one and rely on it with your data protection.